Landscape painting is term that is applied to the depiction of natural scenery, often where the main subject is a wide view (panoramic). The sky always forms an important part of the composition and weather is often included to support the paintings narrative. 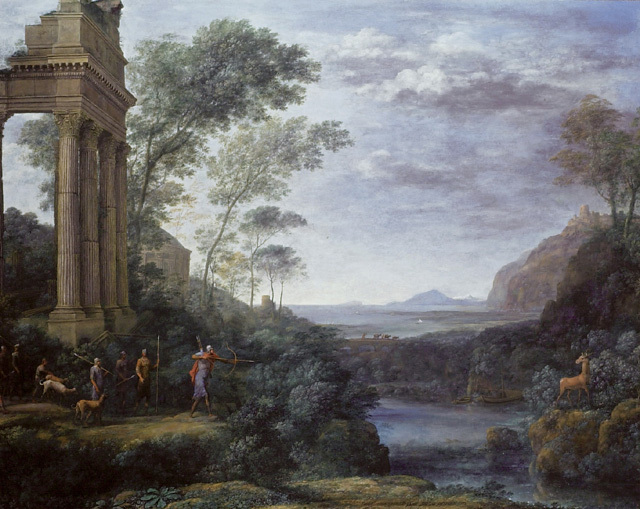 Landscape paintings often include mountains, trees, rivers, ruins and forrest. Landscape painting forms a part of a number of styles and movements within art and it is not synonymous with a particular movement. Instead landscape painting features (present) in a wide range of artistic movements, the composition and style in which the scene is created is the aspect of the painting which is different.